Nesquik is delicious but it does look like rabbit droppings. 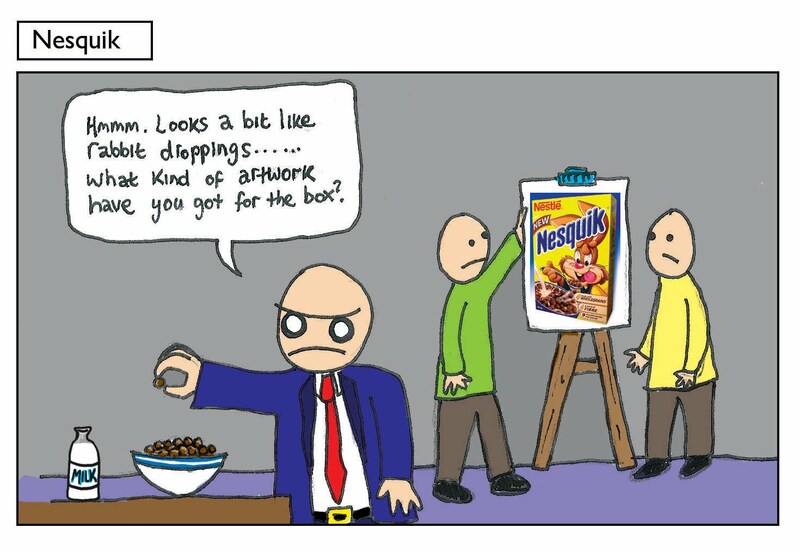 Does the rabbit on the box poop out chocolate cereal? If so I will catch him and feed him only chocolate so that he poops out extra chocolatey cereal for me to nom on. I will breed him with the coco pops monkey and create a hybrid cereal of chocolatey awesomeness!!!! 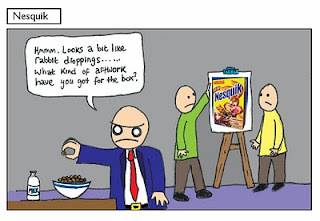 I will serve it in a bowl made out of shreddies and be hailed as the new kelloggs Huzzah!